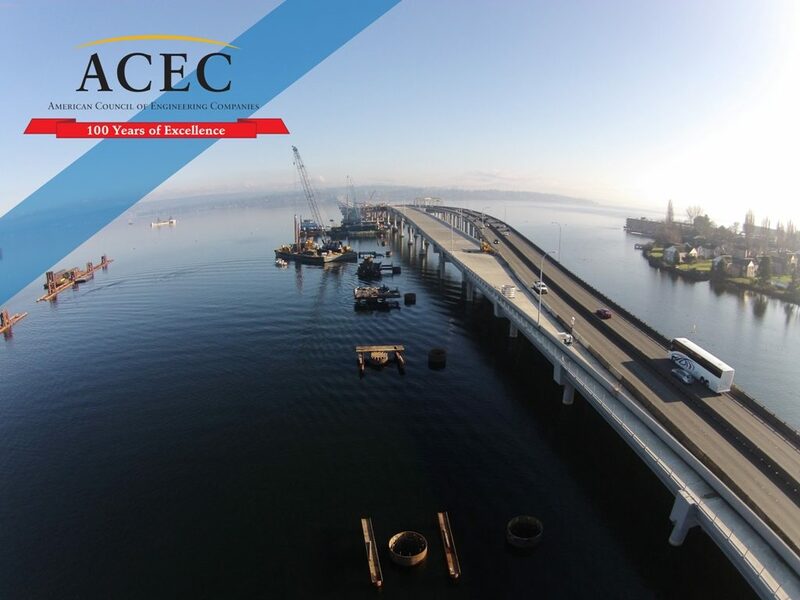 The SR 520 Floating Bridge was awarded the 2017 Grand Conceptor Award from the American Council of Engineering Companies (ACEC) which is one of the country’s highest engineering awards. The award was presented to the Washington State Department of Transportation (WSDOT) at ACEC’s annual conference held in Washington D.C. in recognition for the nation’s best overall engineering achievement. The floating bridge was one of 162 projects world-wide in contention for the award. The new bridge opened to traffic one year prior and ranks as the longest floating span of highway in the world at 7,708 feet. The new bridge provides improved transportation mobility for the region, with bus/carpool lanes in both directions and a cross-lake bicycle-pedestrian path. When reconstruction of the entire corridor is complete, the bridge and connecting highway will carry about 10 percent more vehicles and 17 percent more people during peak traffic hours. Congratulations to all project teams across the many firms involved in this project. A special nod to the hard working crews of Pacific Pile & Marine who were critical to the SR520 West Montlake to Evergreen Point Bridge West Approach Bridge North (WABN) portion of the project.